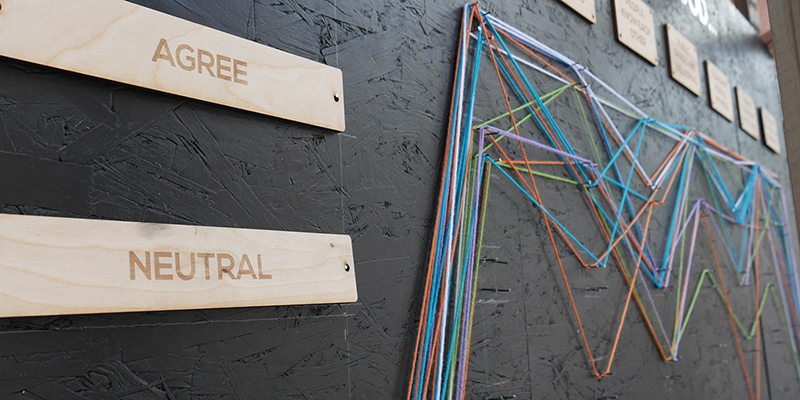 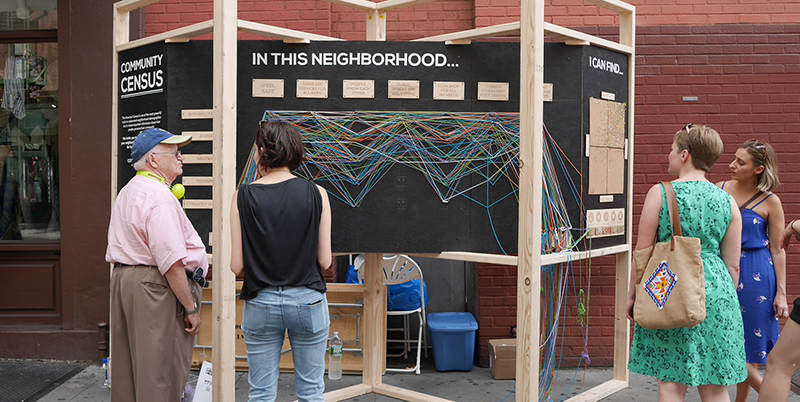 In June 2015, TYTHEdesign and 3×3 Design brought the Community Census installation to the Village Alliance‘s annual Positively 8th Street Festival in Greenwich Village. 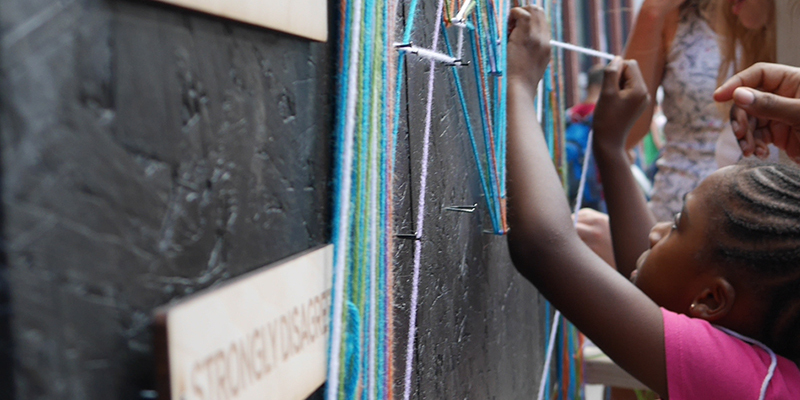 The festival drew hundreds of people to the heart of Greenwich Village with street games, food, and local organizations. 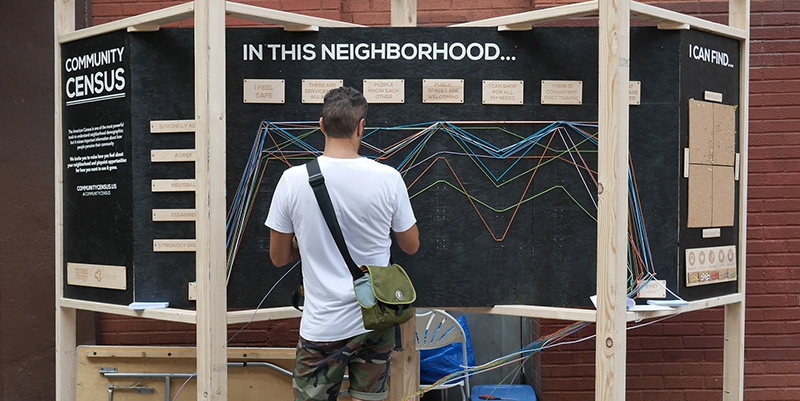 The pilot was met with overwhelming enthusiasm and quick adoption from individuals across all economic, age, race, and gender brackets. 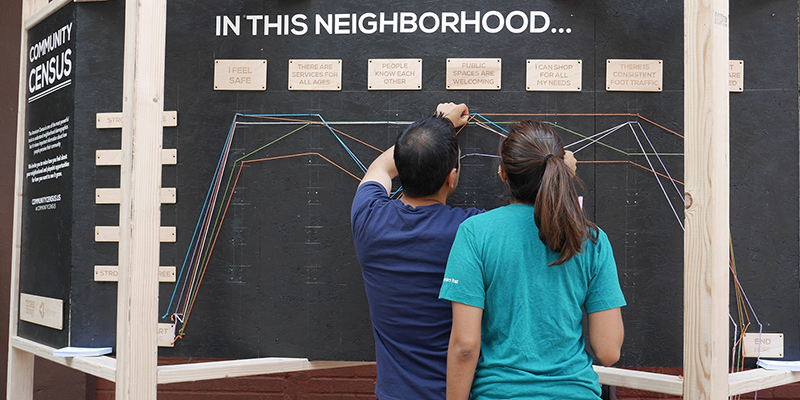 Throughout the day, our teams spoke with over 100 individuals about issues surrounding safety, access to resources, and cultural identity. 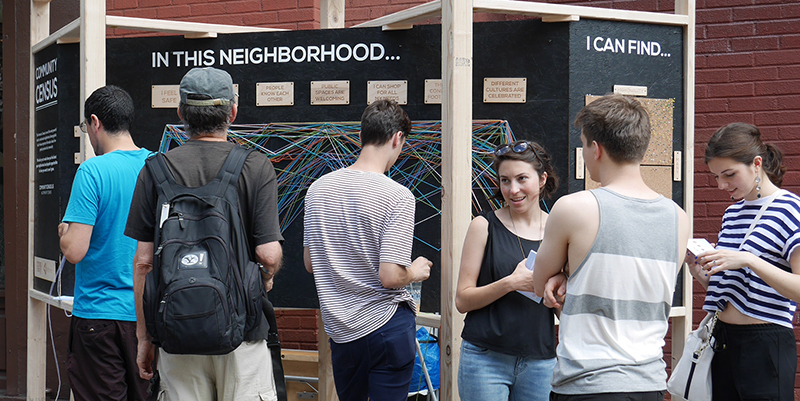 Residents and visitors alike shared their input on amenities in Greenwich Village.